You really know the best places to eat ! Thank you for a great weekend. We really enjoyed it and we already want to return. Cristina helped up prepare an 8 day self driving tour. She was very patient and prompt in answering our numerous emails. She made recommendations for lodging and for a car rental. With suggestions on where to visit along the way. With her planning, the trip was enjoyable with very little stress. There were many special touches, such as providing her contact information in the event we needed assistance along the trip. We had a wonderful trip and thanks to her have a very good impression of Romania. Thank you again for the great tour and answering patiently all my questions. I really enjoyed the time very much. Going around in Romania with Cristina was like traveling with my best friend. Prior to me coming to Romania she proposed a tour which included a place that I particularly wanted to visit and then organised it all including the transport, hotels and restaurants. I have traveled in many countries (…) but traveling with Cristina was the best ever ! Thank you once again for the great time we had. (…) I found him to be an excellent careful driver and out of the car he was always looking out for our safety. I noticed that already on the first morning when I went to cross the road to look at the fruit stall, as soon as I left the chair to cross the road he was there crossing with me to make sure that I was alright. In short, the best driver I have had in all of my travels. I think I'm in good hands, because you have been very helpful. Cristina has helped us experience the warmth and hospitality, and the beauty that Romania has to offer. From the beginning, I felt, because she’s local, Cristina will be able to give insights and extra little tips around the country. My instincts were right ! She is meticulous and realistic in planning out the routes and sights to visit – distance traveled each day, actual drive time, time allotted to meals, etc. She’s patient with all our queries, indecisiveness at times, and she strives to help meet our requirements and preferences. Thanks again, Cristina, for a memorable holiday ! Thanks again for answering so quickly ! You are a BIG help 🙂 ! Professional and a big advantage: she senses the client’s preferences and customizes the experience to your interests and even to your personality. Highly recommended and you will never regret ! 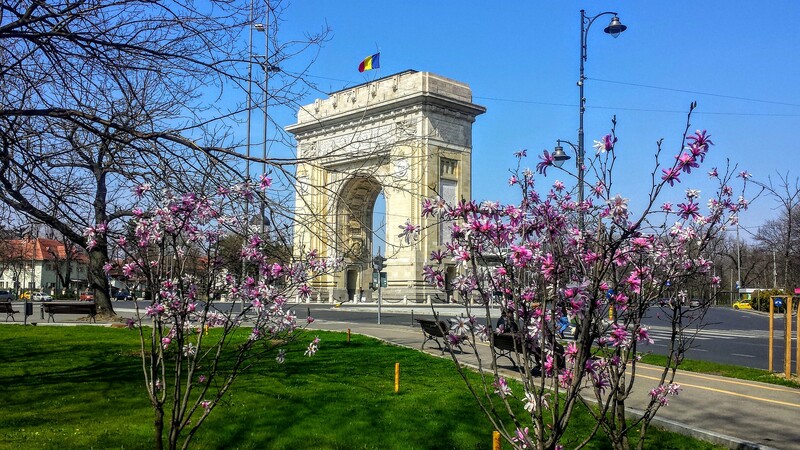 Don’t come to Bucharest without an appointment with this concierge ! Thank you for making my stay great and interesting. You do a fine job and understand your clients. It was really the introduction to Romanian change of life I was looking for. We want to thank you once again for your excellent services during 4 wonderful days in Bucharest. You gave the best of yourself to make our visit to Bucharest unforgettable ! Probably you’re faster than your own shadow… Thanks again for answering so quickly ! I want to thank you in the warmest terms for planning my trip to Bucharest. Everything was arranged well in advance and was all waiting for me when I stepped off the airplane. You have certainly made my trip easier and more fun than I could have done without you. You are an accomplished expert in your field. Furthermore, assisting me with our few shopping trips certainly was easier and a lot more fun with you along. We look forward to spending more time with you in Romania. Cristina is a highly experienced and quality conscious concierge available to you throughout your stay. Her 18 years in travel, her dedication, local knowledge of her beautiful country, and personal attention to detail will ensure you enjoy your Romanian experience just as you would wish. Expect the unexpected with Cristina. Thank you so much for your company and help for what have been very successful days. I look forward to our future mutually beneficial cooperation. This felt like traveling with the family. It was a delightful, informative, and interesting view of the city. I was impressed with your attention to detail and your desire to ensure my comfort during each phase. The level of service was top notch, and you ensured every moment of my visit was without stress or complication. As well, your endless patience and cooperation was much appreciated while I continue to enhance my Romanian language skills. Multumesc ! Thanks again and I hope to return to this wonderful country and inviting city soon, and often. We had a wonderful time in Romania and a pleasant stay in Bucharest. So we are full of sweet memories of your country. Thank you very, very much for the work you did for us. We will never forget our journey in Romania.